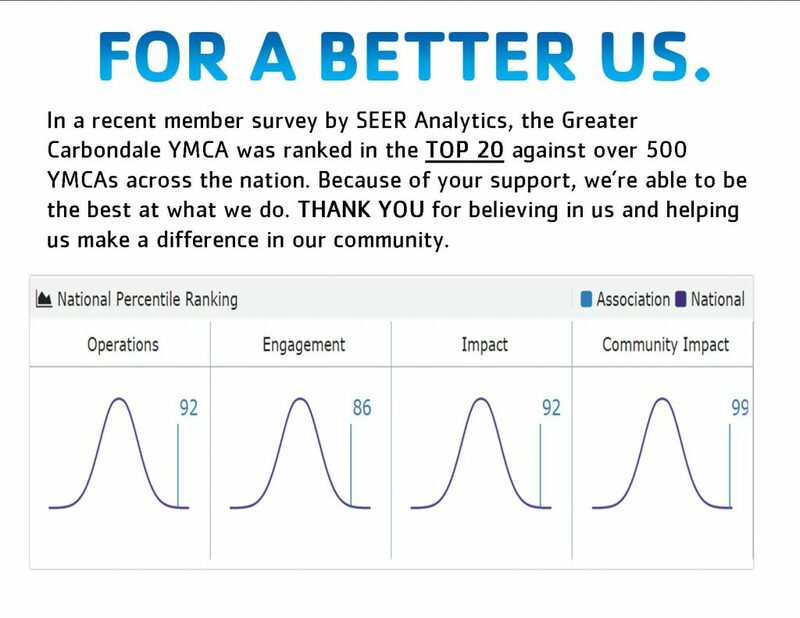 Membership in the Greater Carbondale YMCA is about the connections, support and inspiration people give and receive through interactions with staff, other members, programs and volunteer opportunities. Through membership you are connected to opportunities, resource, and programs that align with your needs and wants to support your well-being journey. Who are our Y members? They are people just like you, with different careers and skills, hopes and dreams, desires and needs. And the Y is here for all of you.